A missile was fired into Syria courtesy of Israel as a warning sign. 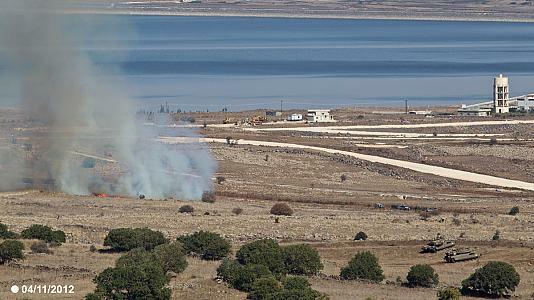 The shot was delivered to send a clear message to Syria after one of its mortars hit an Israeli military post in the Golan Heights. No injuries, casualties or significant damages were reported. This is not the first time the incident has occurred. There have been multiple instances where mortar rounds from Syria have found its way into the Golan Heights. Israel believes the incidents are unintentional though it still holds Syria accountable. According to Lieutenant Colonel Avital Leibovich, a spokesperson for the Israeli Army, the missile shot was sent as a retaliatory warning simply to let Syria know that while they understand the mortars were accidental, they better be more careful from now on. In addition to the warning, Israel has also filed a formal complaint with the United Nations. Israel and Syria have been bitter enemies who have fought against one another in several wars in the past. However, they do share a border and the two countries have mostly stayed out of the other’s affairs. Israel has expressed concerns that Syria’s civil war could spread into their territory. There is also concern that Islamist extremists could take over the region in the event that Syria’s president, Bashar al-Assad, and his government are overthrown. It is currently believed that Syria has a stockpile of chemical weapons, which Israel fears could end up in the hands of Hezbollah if Assad is ousted. There are also worries that Syria is very close to turning into a lawless region and can be exploited by Islamist insurgents as a focal point for delivering rocket launches against Israel. Prime Minister Benyamin Netanyahu has publicly announced that the government is monitoring the situation and will be ready to act on any late breaking developments.